Missy Goldstein is the new Esther and Maurice Becker Networking and Mentoring Coordinator for the Jewish Federation. I am pleased to welcome Missy Goldstein to the Federation as our new Esther and Maurice Becker Networking and Mentoring Coordinator. Missy moved here from Los Angeles, where she completed two Masters Degrees from Hebrew Union College−Jewish Institute of Religion. 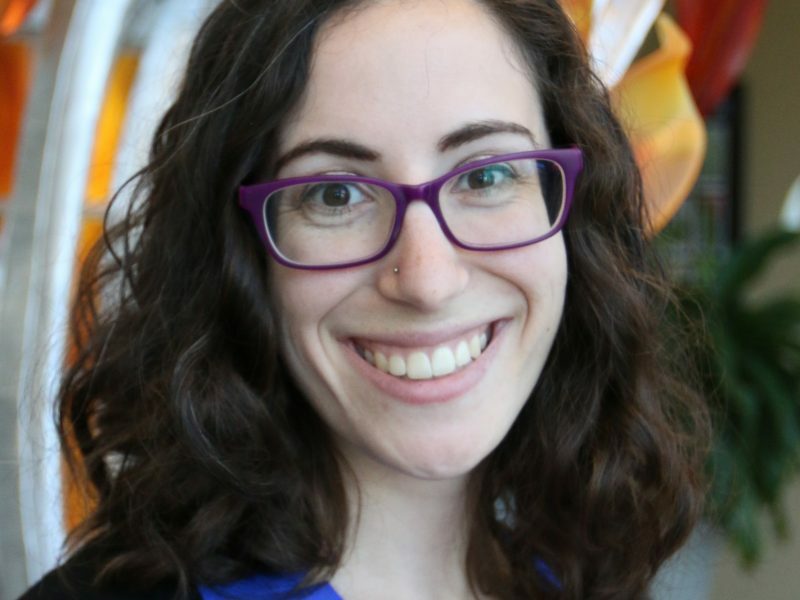 The Jewish Federation of Cincinnati has named Missy Goldstein as the Esther and Maurice Becker Networking and Mentoring Coordinator. Goldstein will create community engagement and networking opportunities to attract and serve Jewish young adults in Cincinnati. As the Engagement Officer, Goldstein will connect Cincinnati Jews with one another, partner with other agencies to create community among Cincinnati Jewish young adults, and identify future leaders in Jewish Cincinnati. In addition, Goldstein will work to create a positive conversation about the greater Cincinnati community, utilizing social media channels. One of Goldstein’s first projects is to help with the creation and awareness of the new website and app for young Jewish adults called Cincinnati Vine. Its official launch will be on August 23 at a party exclusively for young adults at the Summit Hotel in Madisonville. Goldstein comes to the Jewish Federation from Los Angeles, where she completed a Master of Arts in Jewish Nonprofit Management and a Master of Arts in Jewish Education at the LA campus of Hebrew Union College−Jewish Institute of Religion. While at HUC−JIR, Goldstein worked as a graduate intern at Silverlake Independent Jewish Community Center and NewGround: A Muslim−Jewish Partnership for Change, which empowers Jewish and Muslim change-makers with the skills, resources, and relationships needed to improve Muslim-Jewish relations and strengthen cooperation on issues of shared concern. “I’m excited to be joining the Federation team because I want to be part of something larger than myself,” Goldstein said. “I moved around a lot growing up, and I always found a home in the Jewish community. I want to do what I can to provide that space and community for others.